There is a problem with the ADM Data Mart agent that captures information about the state of models, predictors, and predictor binning. The adaptive models in your system are large, or the Pega 7 Platform server is busy. Decrease the admmart/batchSize Dynamic System Setting from 50 to a lower value, and save the change. 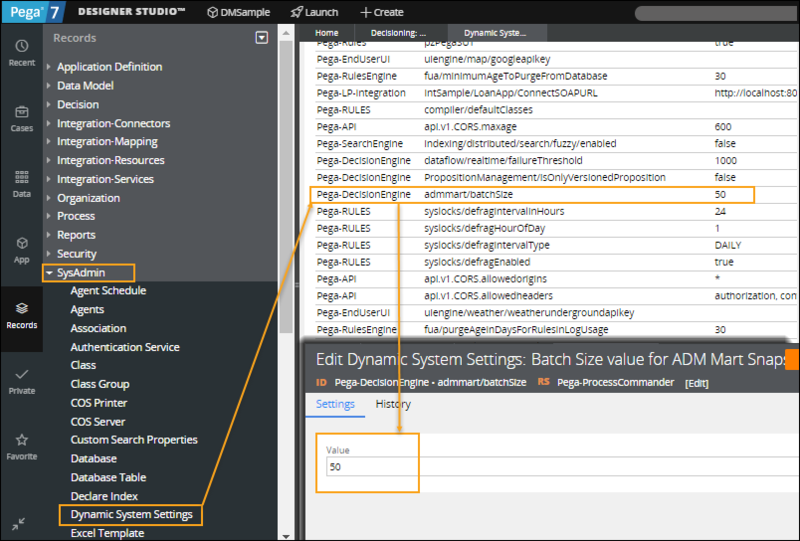 Click Records Explorer > SysAdmin > Dynamic System Settings > admmart/batchSize and lower the value.